Currently, the acquisition of seismic surveys is performed as a sequential operation in which shots are computed separately, one after the other. This approach is similar to that of multiple-access technology, which is widely used in cellular communications to allow several subscribers to share the same telephone line. 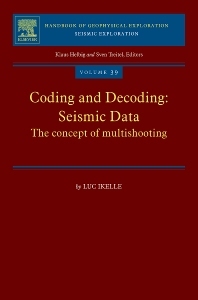 The cost of performing various shots simultaneously is almost identical to that of one shot; thus, the savings in time and money expected from using the multishooting approach for computing seismic surveys compared to the current approach are enormous. By using this approach, the long-standing problem of simulating a three-dimensional seismic survey can be reduced to a matter of weeks and not years, as is currently the case.